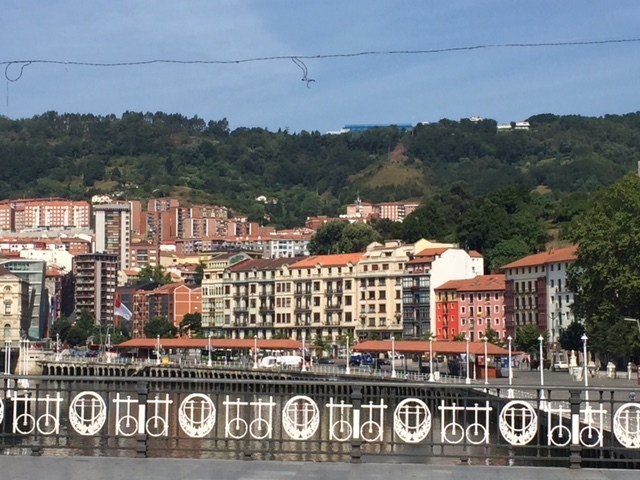 I had been looking forward to visiting the much acclaimed Guggenheim Museum in Bilbao, Spain for years designed by architect Frank Gehry. The building is a sculptural design combining interesting interconnecting shapes. 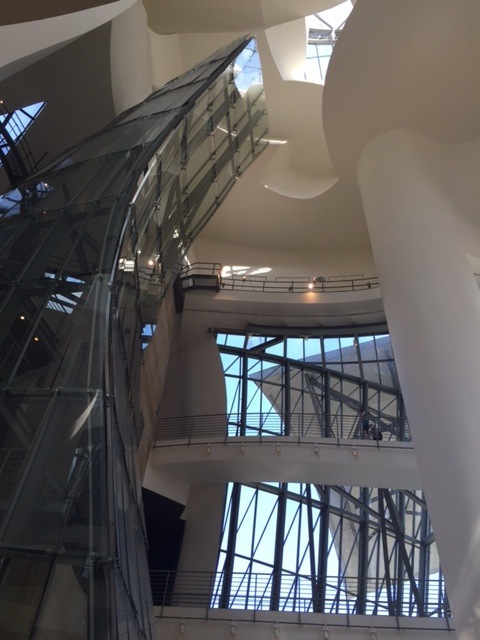 Orthogonal limestone blocks combine with curved titanium forms and vast glass curtain walls. 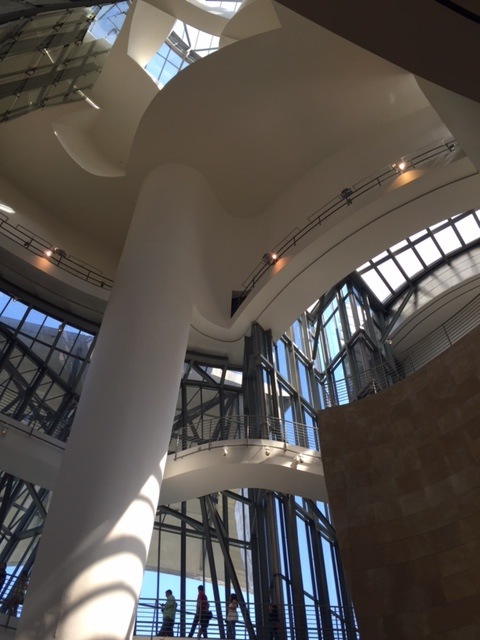 The atrium is the heart of the museum and is flooded with light through the skylight at the top of the 55 metre high ceiling. Exhibition halls are organized on 3 levels around the central atrium. 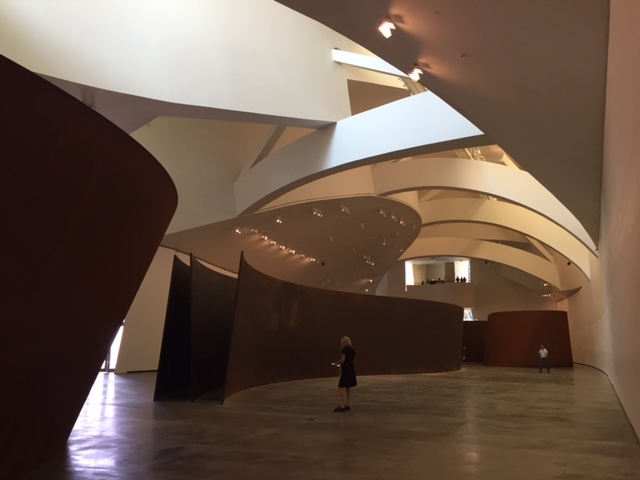 “Matter of Time” by Richard Serra is a permanent installation in the largest gallery and was designed to be site specific. Visitors wander through these huge freestanding steel plate sculptures, which create a sensation of space in motion. 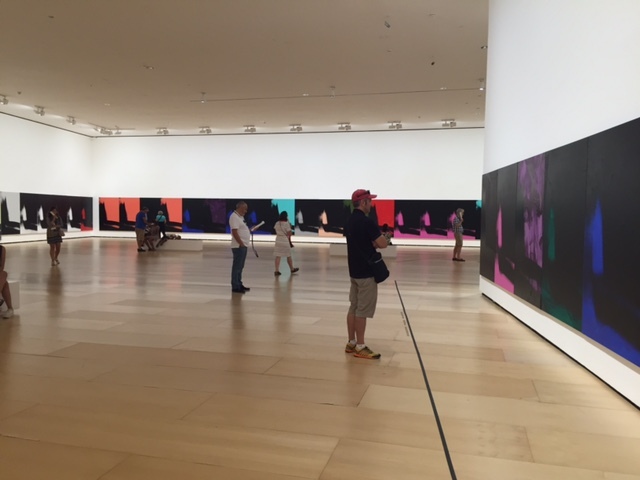 “Shadows” by Andy Warhol is a series of 102 silkscreened canvas panels that was originally conceived as 1 painting with multiple parts. The backgrounds were painted with sponge mops and the shadows alternate between positive and negative imprints as they continue throughout the gallery. 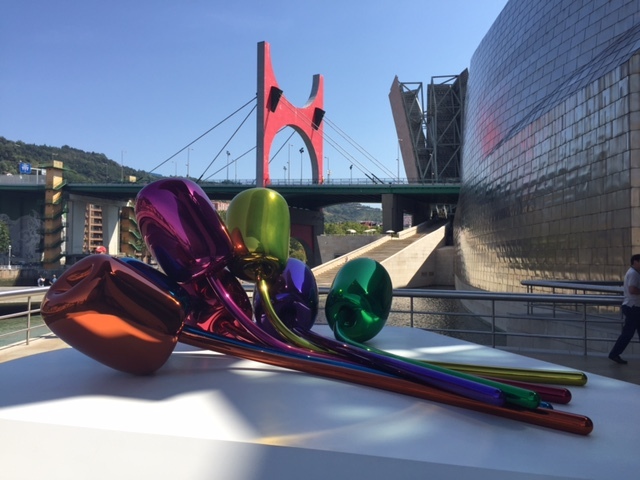 The outdoor terrace leads to enormous sculptures including these by Jeff Koons, Daniel Buren and Louise Bourgeois. 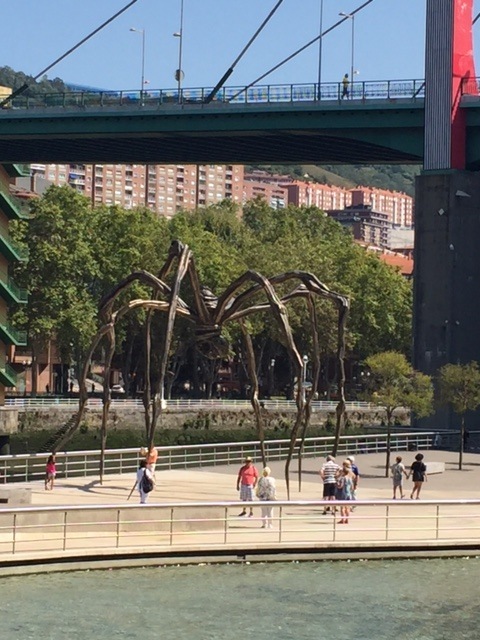 There is more to Bilbao that is worth exploring after a visit to the museum. 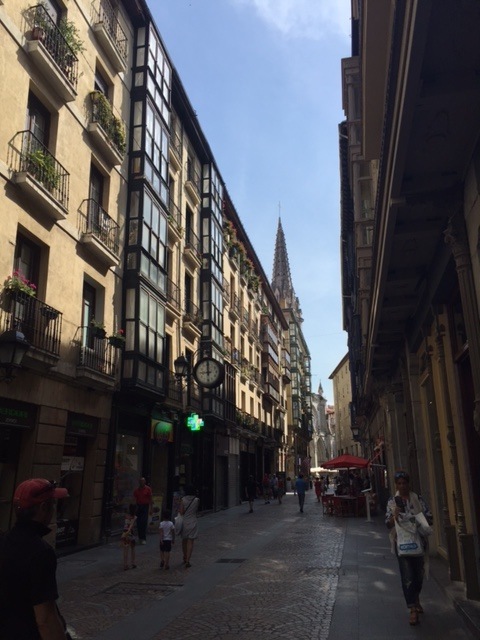 The Old Quarter (Casco Viejo) is where it began as a trading city and is now a large shopping area. 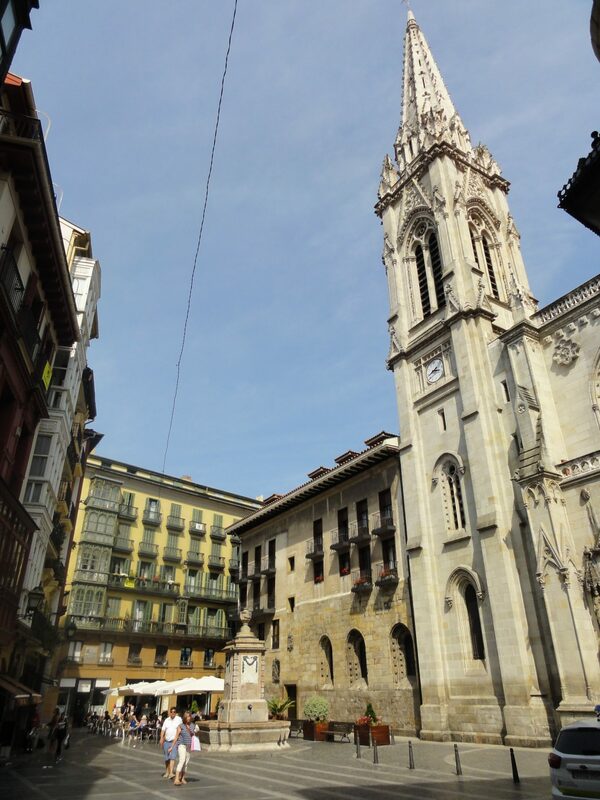 The Old Quarter is full of interesting architecture, cobblestone streets and the 14th century cathedral of Santiago. 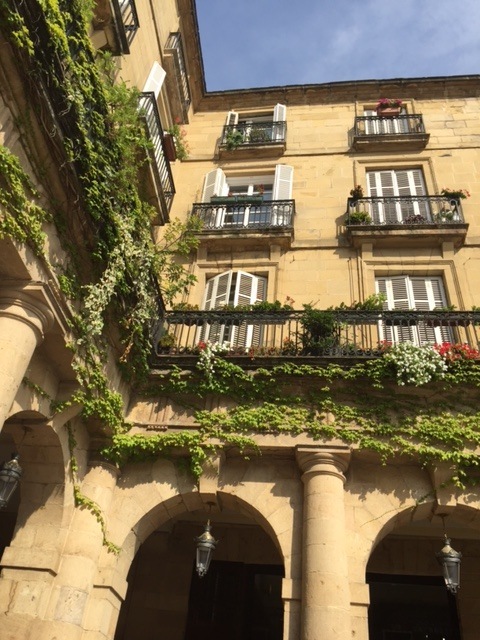 It’s a vibrant neighbourhood with many restaurants that serve customary pintxos or small tapas/finger food. Delicioso!